Can cats taste sweet? Do cats have taste buds? What flavors and taste sensations appeal to a cat's discerning palate? Let's talk about how cats taste food. Our aim here is to examine how cat tongues function, and how cats taste the food they eat. Anyone who spends time thinking or reading deeply about cat physiology knows that cats are obligate carnivores. 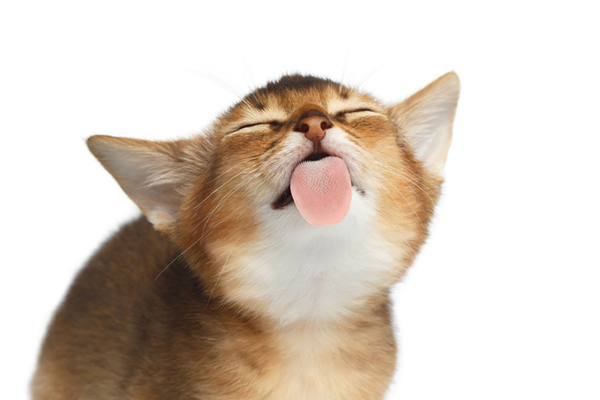 Did you know that cat tongues and taste receptors guide cats toward foods that offer them optimal nutrition? 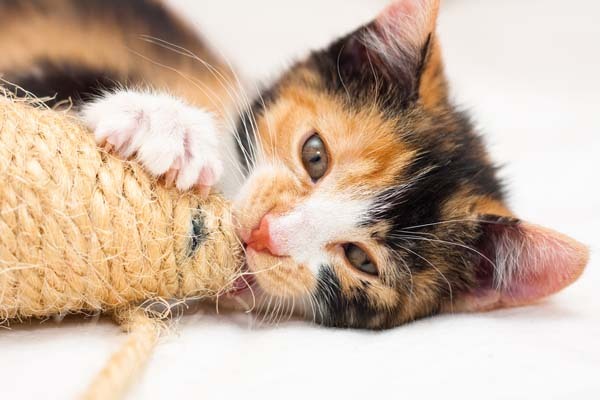 You’ll learn a great deal here about lingual papillae and taste buds, the range of taste sensations available to kittens and cats, and how the evolution of a cat’s tongue influences their dietary needs. A cat has between 470 and 500 taste buds. Photography by Seregraff/Thinkstock. It’s a question worth asking, since our primary experience with the cat tongue is the rough, sandpaper sensation when a cat deigns to lick us. The center of a cat’s tongue, comprising much of its surface area, is covered in filiform papillae, hooked barbs composed of keratin pointed toward the back of the mouth which give it that familiar, scratchy feel. This group of papillae are essential for eating, helping to physically move food toward the esophagus, and for grooming, acting as the teeth of an all-natural brush or comb. They are structures of utility, and have no taste buds. There are three additional varieties of papillae — a word for little protuberances on the surface of the tongue — all of which do feature taste buds and other sensory apparatus that detect size, shape, and texture of food. The circumvallate, foliate, and fungiform papillae at the rear, sides and tip of a cat’s tongue all play host to taste buds and taste receptors, though they are far fewer in number than our own. Cats have between 470 and 500 taste buds in total, compared to around 10,000 in humans. The total number tends to decrease with age, but the ones that are present are in a state of continuous turnover and refreshing. Taste buds may last anywhere from a few days to a few weeks, keeping the communication between the tongue and the brain as alert as possible. Receptors in the taste buds convert chemicals in food to taste sensations, a process known as taste transduction. Can cats taste sweet or detect sweetness? Can cats taste sweet flavors? Photography ©bluebeat76 | Thinkstock. People love asking whether cats can or should eat many of the luxurious foods that humans enjoy. Whether it’s a product of nature itself or of human manufacture, the treats we eat for dessert or at snacktime are not only not good for cats, but totally flavorless to them. At least in the way that we perceive comestibles, from strawberries to donuts, cats’ taste buds do not register sweetness. Two different genes work together to identify sweet flavors; cats lack one of them, and the other is not fully developed. I can hear the protests: “But my cat loves ice cream!” or “But my cat loves marshmallows!” “Love” or “like” are subjective terms. Sweetness is only one reason that naturally or artificially flavored foods appeal to us. We also appreciate or relish the physical sensation of certain foods, and cats are no different. They may be incapable of perceiving sweet, but the parts of their tongue and mouth that appreciate the texture or feeling of food may spur them to repeatedly show a preference for foods that offer them no nutritional value. Cats have no ability to taste sweetness or value sugar. Which came first? 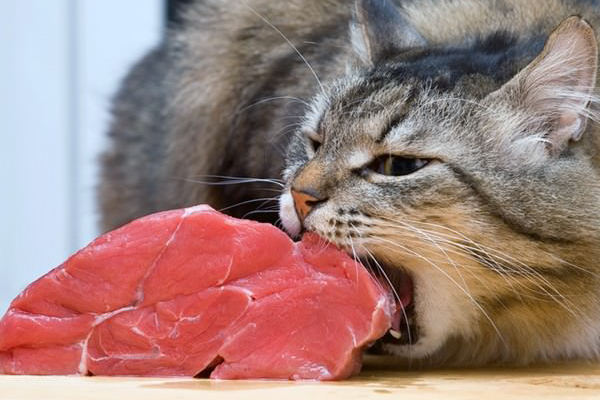 Did the cat’s biological imperative to seek meat proteins cause them to lose the taste for carbohydrate-rich sugars, or did not having the necessary genes drive them to seek protein-rich foods? Cats — from the majestic tiger to the fluff ball that sits on your keyboard while you’re trying to work— are not alone in lacking proper genes to detect sweetness. Many other creatures, bottlenose dolphins and sea lions among them, also lack the capacity to comprehend sweet flavors. All are obligate carnivores. What flavors do cats like? Cats can detect the other major flavors — bitter, salts and sour— as well as umami, the lesser-known fifth taste, which was only defined as a separate taste sensation in the early 20th century. 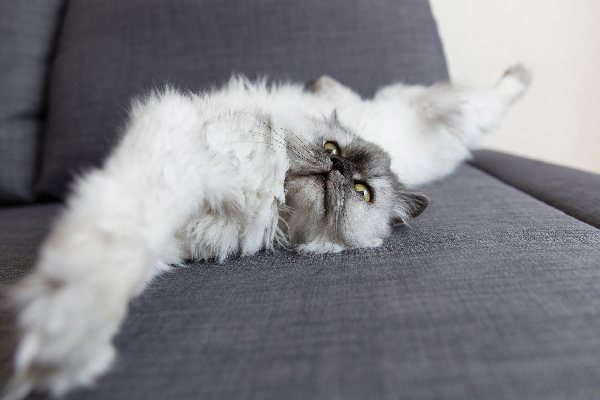 Researchers have recently discovered that cats experience bitterness differently than humans. 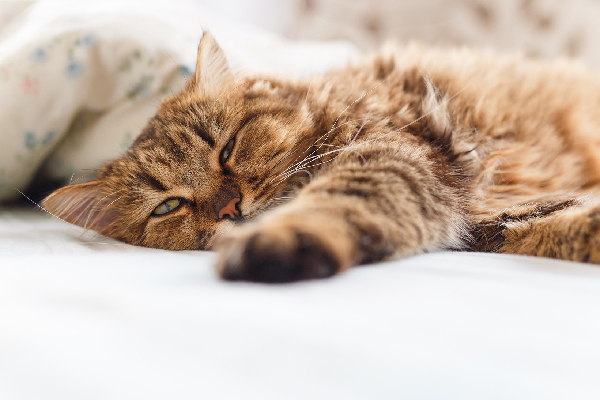 For instance, cats are much more sensitive to denatonium, a bitter chemical compound in a number of toxins and poisons, than we are. 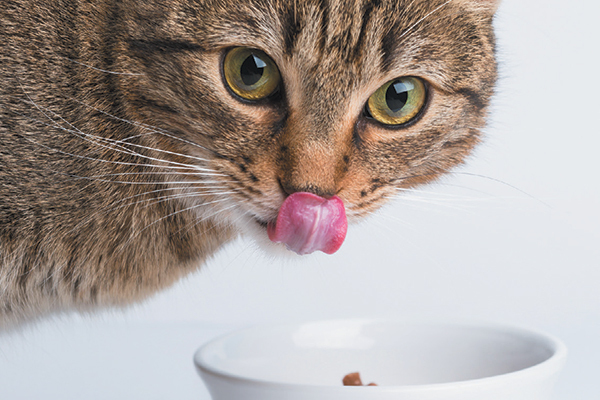 Cat taste buds encourage their dietary need for meat proteins. Photography by DarkBird/Shutterstock. For its own part, umami is linked to the presence of glutamate, an amino acid. It’s roughly understood as a taste that conveys a savory, meaty, somewhat salty sensation, and a cat’s preference for and perception of umami may go some way to explain why they might enjoy non-meat foods, such as certain kinds of mushrooms, even though they are not physically built to fully digest them. What unusual treats do your cats go wild for? Our understanding and comprehension of taste remains a work in progress. In the late 1970s, researchers in Philadelphia could see that cats did not show any preference for sweet flavors, but it wasn’t until 2005 that they discovered why. Even though it was defined in Japan well over a century ago, umami still isn’t in the common parlance. In 2015, nutrition scientists in Indiana made the bold claim that oleogustus, or the flavor of fat, should be declared the sixth taste. Do things like flavor and taste even matter to cats? In the wild, cat eating habits are primarily utilitarian, steering them toward the nutrients that they require for survival. 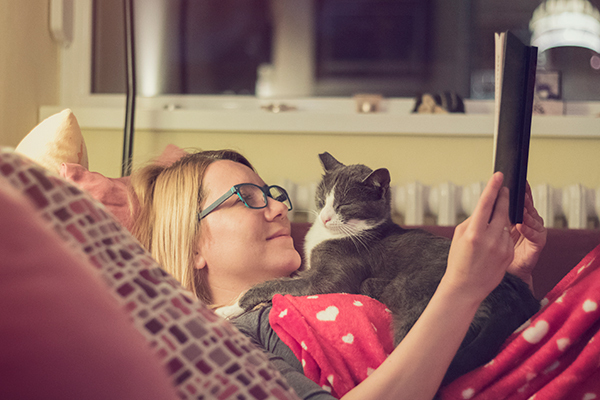 In domestic settings, cats are creatures of leisure, and you’re more likely than ever to find “gourmet” cat food in the pet aisle of your local grocery store. Having fewer taste buds than humans do does not necessarily mean that they taste less overall or that they enjoy food less than we do, only that their perception of taste is differently oriented. It would be ruthlessly anthropocentric, however, to assume that even feral or wild cats did not relish food. 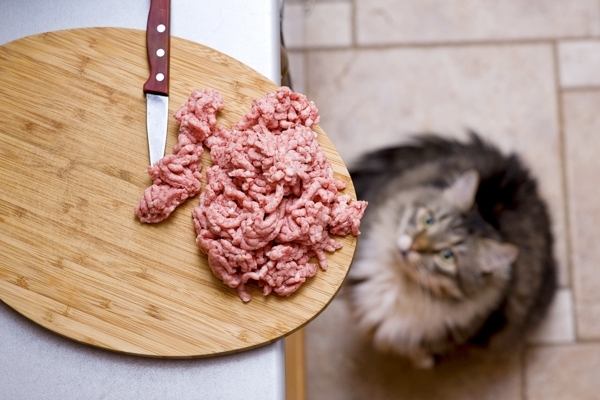 Tell us: What kinds of non-meat or protein-deficient foods do your cats gravitate toward? Thumbnail: Photography by DarkBird / Shutterstock. My cat loves dairy foods: butter, cheese, cream, milk, custard. She hates yoghurt though! She goes mad at the smell of a mature cheddar cheese or brie but isn’t interested in cheeses like mozzarella or feta. She also goes mad for tomato soup… must be because tomato soup is creamy. My mum’s cat Norman, loves strawberry jam on toast! I think this stems from his kittenhood when I was a teenager and I always ate this for breakfast and would offer him some. He must like the texture if he can’t appreciate the sweetness. What puzzles me is why nobody makes mouse flavoured cat foot. Chicken and rabbit I can understand. I’ve seen a cat carrying a dead rabbit for consumption somewhere private. Which means a hen is also within a cat’s capabilities. I’ve yet to see a cat hunt and kill a cow or a sheep. It seems to me that evolution would push cats’ senses of taste and smell to enjoy mice more than they enjoy sheep.